The Masters Golf Tournament is one of the most special things in all of sports. Why? 1. Great course- Augusta Country Club is one of the top three golf course in the world (Pebble and St. Andrews are the other two). And the Masters is always there at Augusta- every year. 2. 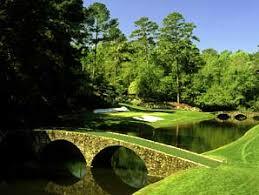 Tradition- the Masters is the most prestigious tournament in all of golf, and perhaps in all sports. Past Champions are exempt to play for the entire lifetime. It's great to see folks like Gary Player, Fuzzy Zoeller, Tom Watson and other champions coming back every year to play. Pin placements are the same every year on the greens. The tagline "a tradition unlike no other" holds true. 3. Experience- people love coming to Augusta National, both the patrons (spectators) and the players. Player's families want to be there all week. Seeing the Masters in person one time in your life is a highlight for every golfer. 4. Exclusivity- the hardest ticket to get in all of golf, and overall sports. The badges for tournament rounds are passed down from generation to generation, and getting invited to attend is an amazing privilege. 5. Special auora- every person who sees Augusta National for the first time is overwhelmed. The grounds are immaculate, and the environment is special. And you can eat lunch for around $3. Seriously. Sandwiches are $1, snickers are $.50, and the lemonade is $1.50 and you get the collectors cup. Amazing.